Our sponsors Squirt Cycling Products ensure that riders will have a smooth ride during the three-day PwC Great Zuurberg Trek. 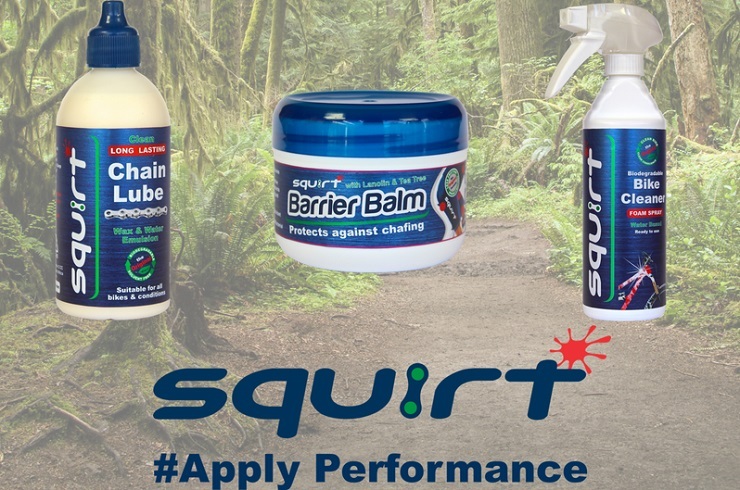 They will showcase their Squirt Bike Cleaner, Squirt Chain Lube and Squirt Barrier Balm products. To lube your current chain make sure it is dry, shake the bottle well and apply the lube to the inside of it while turning the cranks. A brand new chain can be lubed by degreasing it completely, cleaning off all degreaser thoroughly, allowing it to dry and then applying the lube. A chain with other oils/lubes on it can be lubed by degreasing it using degreaser or soaking it in undiluted bike cleaner concentrate for 30 minutes. Use a firm brush to accelerate the dissolving action, rinse and allow it to dry and finally apply the lube. An extra tip for mountain bikers is to apply the lube liberally to the chain. Do not wipe it off and let it dry completely before your ride. In dry conditions it should be applied every four hours, while in wet conditions it should be applied after every ride.